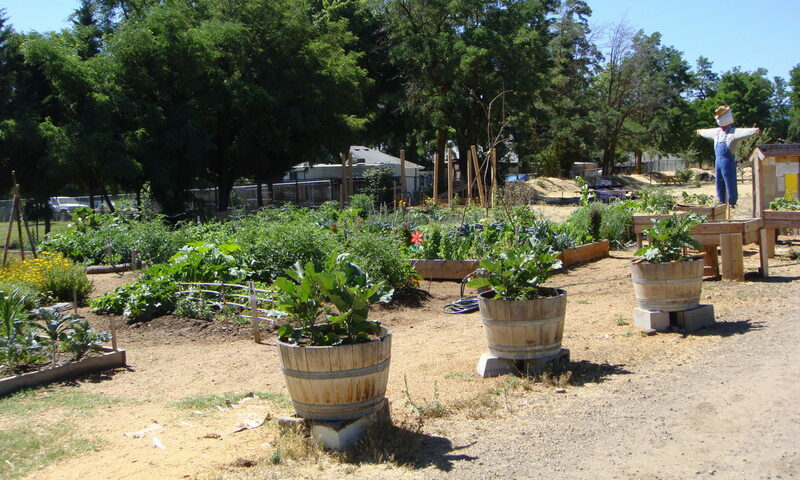 The purpose of the Yreka Community Garden Project is to develop a beautiful and nurturing space where individuals, families and groups may grow nutritious, organic vegetables and fruit for themselves and for community food banks. To improve food security for those in need by providing garden beds for individuals, families, or groups to “adopt” on a yearly basis. To improve nutritional awareness and promote healthy eating habits by encouraging home gardening, providing fresh, organic produce to local food banks and meals programs, and offering educational programs on topics such as nutrition and cooking. To provide opportunities for positive social interaction and recreation in a beautiful, non-threatening atmosphere where individuals of all ages and backgrounds may interact in a healthy pursuit. To increase the number of home gardeners by offering educational programs to the community at large. To promote the health and well being of participants with special needs by providing accessible gardening space, ergonomic tools, and programs designed to encourage physical strength and mental balance. To nurture curiosity and provide hands-on learning opportunities for children by providing gardening space for use by youth programs and schools. To offer a quiet and restful garden setting for the enjoyment of the natural world of plants, birds, insects, and the four seasons.